Last week a Pennsylvania road worker was denied an appeal to her dismissed case. Alice Ward was working as a traffic controller at a construction site on a Pennsylvania road when she was struck and seriously injured by a driver under the influence of heroin. Immunity Green Road Sign with dramatic clouds and sky. Nicolas DeSimone, the driver who struck Ward, was driving home from a visit to his probation officers after informing them he would not pass the drug test because he had been using heroin. At the construction site, DeSimone passed three warning signs before injuring Ward. Ward sued the probation officers, alleging that they had failed their official duties by allowing DeSimone to drive after openly admitting to heroin use. The first judge for the case dismissed the charges, and last week Ward’s appeal was also dismissed. There is an exception to this rule: government employees who have denied citizens their constitutional rights will not be given immunity. Judge Covey, who presided over the appeal, affirmed Judge O’Neill’s ruling on the immunity of the probation officers. Judge Covey specifically focused on the role of the probation officers in DeSimone’s “operation of a vehicle”, a term used in Ward’s complaint. The judge ruled that the term “operation” of a vehicle refers specifically to putting something in motion, so even if DeSimone had been using a state-owned vehicle and the actions or inactions of government employees led to DeSimone’s use of a vehicle, the government employees cannot be held accountable for DeSimone’s actions unless the employees actually put the vehicle in motion. 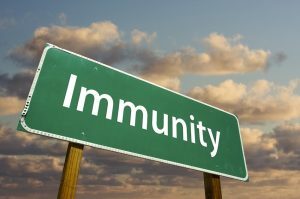 Government immunity cases are incredibly complex, and it is left up to the judge on the case to determine if the government employee can receive immunity. If you have been injured due to the negligence of a government employee, you need to speak to a skilled NH personal injury attorney. The attorneys at Tenn And Tenn have the experience you need to have a successful case. Call our offices today at (603) 624-3700 for a free telephone consultation.